When 19-year-old Wendy Sloane comes home from college in May to work in her family's bookstore, she's expecting a slow, predictable summer. After an unexpected event and the aftermath shake things up in her small town, Wendy is inspired to create some chaos of her own. With the help of her wise (and wisecracking) mom and grandpa, Wendy attempts to pull the biggest stunt her little town has ever seen. In her quest at attempting the impossible, Wendy discovers the power to rule the world. 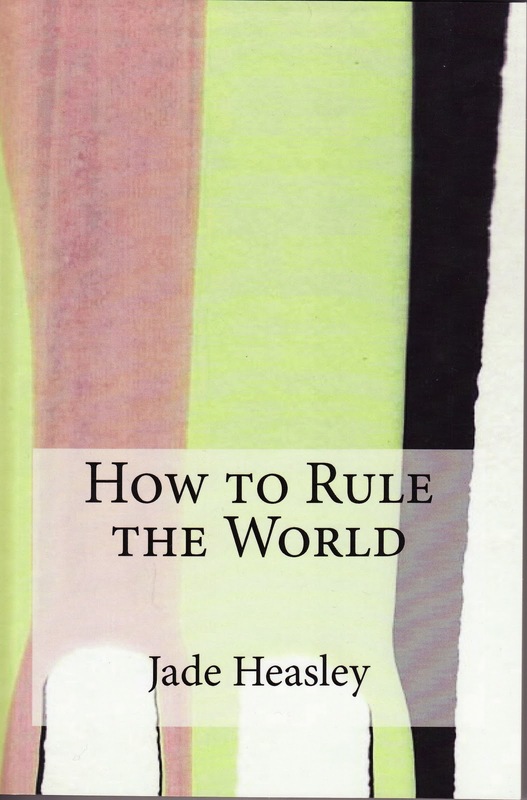 Enter Below for a chance to win a PRINT copy of How to Rule the World. Like Jade Heasley on Facebook for a bonus entry. Comment on this post for another bonus entry. Giveaway ends Feb 11 11:59PM Central Time. My latest book is a humorous novel called, “How to Rule the World.” It’s about a nineteen-year-old college student named Wendy Sloane who comes home from college for summer break to work in the small town bookstore owned by her mother and grandpa. Wendy is an intelligent young woman with a good head on her shoulders. She stays out of trouble but she can’t resist the urge to give her sarcastic commentary about the things that she observes. She’s expecting the summer to be slow and predictable but a completely unexpected and unusual event happens in her town and she’s somewhat disillusioned by the aftermath of it. After puzzling out human nature she decides to try a very high profile experiment that would affect the entire town – and she discovers the power to rule the world. Do you hear from your readers? What kinds of questions do they ask? Yes, I hear from my readers, mostly through e-mail and they come to various book signings and speaking engagements that I have. I get quite a few questions about my humorous memoir called, “1980s Kid,” which has been ranked as one of the top ten best books about the 1980s. I get lots of questions about what my favorite 80s era video games were and what the best toys of the decade were. It’s always fun to reminisce about a great time in pop culture history! I also get quite a few questions about my novella, “The Incorrigible Dreamers.” The book was the only one I’ve written that isn’t humorous and has a group of characters called the Incorrigible Dreamers that are a category of beings that are unlike other character forms that have appeared in literature before. I get a lot of questions on how I came up with the concept for the book and people wanting to know more about what the Incorrigible Dreamers are. I really admire Harper Lee. I think that “To Kill a Mockingbird” is one of the most incredibly profound books of all time. Every time I read it, I get new insights into it. I love the way that she took such a serious social problem and showed the ugliness of it through an innocent child’s perspective. I also am in awe about how she was able to add dashes of humor with the children into a book that has the tone of tragic injustice and make the whole narrative flow smoothly. Moreover, the book has changed people’s perspectives and is arguably the most powerful novel since “Uncle Tom’s Cabin.” The character of Atticus Finch and his passion to do what’s right, and Scout’s view of the world being molded by her father’s moral convictions have made Atticus and Scout Finch two of the most beloved characters in American literature. I’ve spent a lot of years discussing books and I’ve never heard anyone say they didn’t like the book. Usually, when the title “To Kill a Mockingbird” comes up in conversation, people’s eyes light up. When anyone is in the room says they haven’t read the book, everyone in the room who has read the book insists that the book must be read. In my opinion it’s one of the best books ever written, and certainly one of the most influential in American literature. I decided about the age of five or six that it would be really cool to grow up and write a book. But other careers that I considered over the course of my childhood include: queen, lady pirate captain (because both would allow me to have tons of gold coins and jewels and I could lock people up in dungeons if they didn’t follow my rules), astronaut, treasure hunter, spy, detective, robot builder, rock star (I did eventually become a drummer), artist, scientist, first woman President of the United States, and I wanted to work in the Crayola Crayon factory so I could invent new colors and then name the new colors. What is it that you like to do when you’re not reading/writing? I love going for walks and being outside. I also enjoy going to antique stores, they are wonderful places for firing up a writer’s imagination! I love spending time with family and friends and I like to travel to new places. I watch the Gilmore Girls (I still mourn the fact that show was cancelled), The Middle, Parenthood, The Office, Last Man Standing, Switched at Birth, and 30 Rock. What songs are most played on your Ipod? I have a website at http://www.jadeheasley.com/. Jade Heasley is the author of How to Rule the World, The Incorrigible Dreamers, Bratty Becky and the Firecracker Kid, and 1980s Kid. Her books are available in paperback and as e-books through Amazon Kindle. 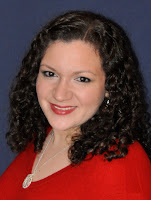 She will also be the host of the upcoming web show Author Questions with Jade. She is currently accepting book signings, interviews, personal appearances, and speaking engagements for the Spring of 2012. If interested, send a querry to jade@jadeheasley.com. Click on the tabs to learn more about her work and upcoming events. Click on the buttons below to join her mailing list or to connect with her social media pages. When you leave this webpage, be sure to go to iTunes to get free downloads of her latest radio interviews. Just type "Jade Heasley" into the search bar. Thanks for the giveaway! I enjoyed the interview. :) I think I like the author even more now that I know she's a Gilmore Girls fan! I, too, mourn its ending. Thanks, Deanna! I had a blast writing it and I'm sure that anyone who reads it will love it! Sounds like a fun book I'd love to read. I would like to win this -- I am looking for a new book to read. Thanks for the chance to win. Marlene V.
Gracious! I'd like to rule the world too. I'm anxious to learn the secret. This interview was very fun to read. Thanks for the giveaway. I'm sure that you will love the book! Another print copy (for us Canadians). Great! Wonderful interview with the author! Thanks for your interest in my work! Good luck in the drawing! This book sounds like a really good read. I need some advice on how to Rule My World. LOL Happy Valentine's Day Everyone. Deanna Boocock is the giveaway winner.